When it gets cold outside I like to eat warm food… inside. I love making Marie Callender’s Pot Pies on those days that don’t get above freezing. They have delicious flaky, made from scratch crust with homemade gravy and vegetables which is why they taste down home and delicious, plus these pot pies cook in the microwave which cuts back on the cooking I have to do. Win win. Growing up, my dad made Marie Callender’s Pot Pies all the time, so they have a special place in my heart. Of course, I always like to make something to go with them, so today I’m going to show you a warm, hearty country apple crisp recipe that pairs perfectly with any flavor of Marie Callender’s Pot Pies. (1) Preheat your oven to 375 Degrees. Grease a pie pan. (2) Spread apples in bottom of pan. Put the apples in the oven while you mix the other ingredients. (4) Serve warm and enjoy. Even though we might be thinking this cold is dreadful, I think about how much worse Winter would be if my husband were deployed overseas or if I were one of those brave people serving our country right now. Marie Callender’s has an amazing Comforts From Home Project to support our troops which makes me even happier to buy these pot pies. Visit Marie Callender’s to learn more about these yummy pot pies and Pot Pie Please to find more great recipe ideas. Also make sure you check out Marie Callender’s on Facebook! 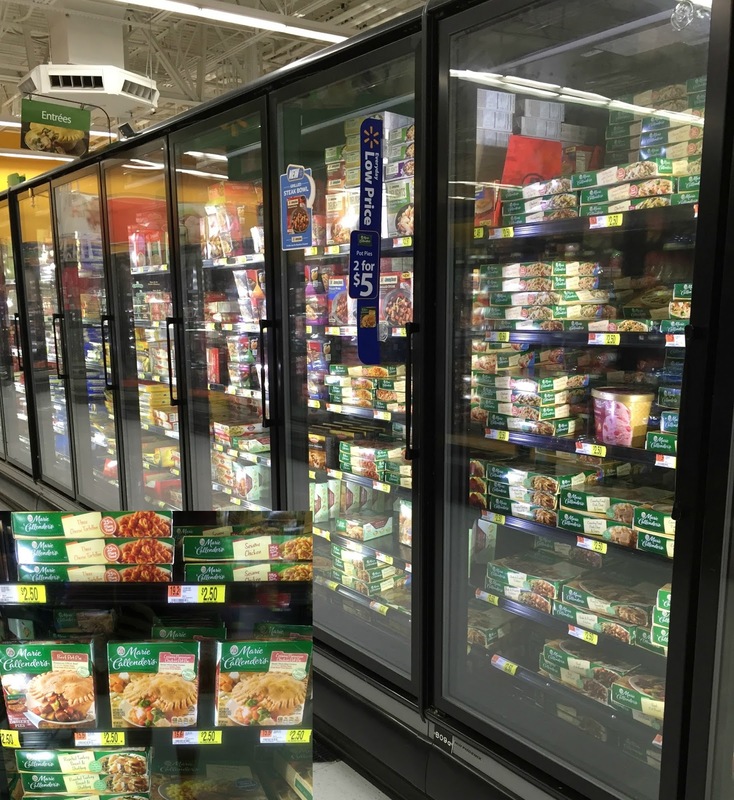 You’ll find Marie Callender’s Pot Pies on the frozen entree aisle at Walmart. Now tell me – what do you do like to do to stay warm when it’s freezing outside? OH my gosh this looks incredible. Thanks for sharing! I like apple crisp! seems like a nice easy recipe.. This apple crisp looks delicious! This recipe looks simple and delicious. We will definitely try it. Thanks for the recipe. I didn't know Marie Callender had a Comforts from Home project! My husband is currently out to sea and it makes me happy to know that Marie Callender supports our troops! Who can resist apple pie! I love it in the winter, especially when it is served warm. Thanks for sharing, this looks delicious.